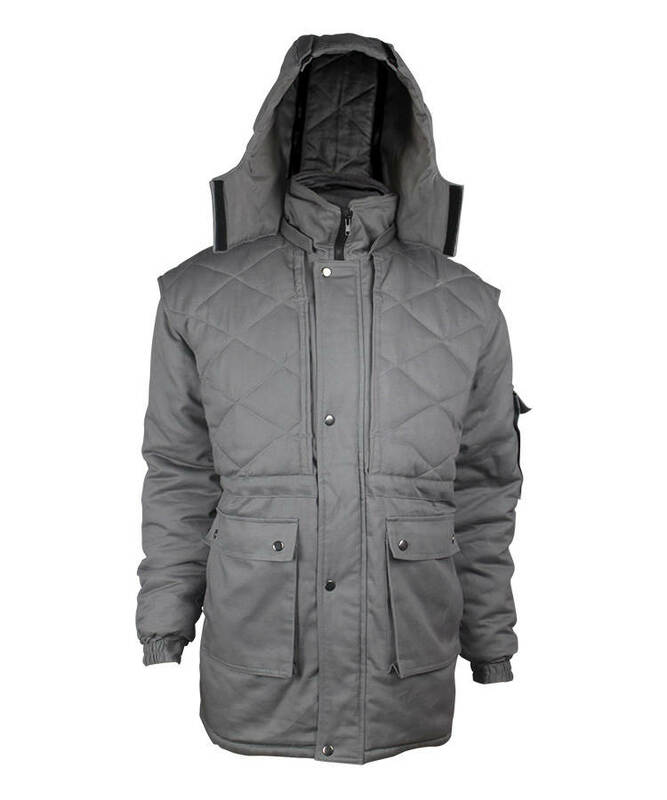 This grey and black fire proof anti static jacket made of 280gsm cotton fire proof anti static fabric, and can meet EN ISO 11612, EN 1149-5, NFPA2112 and other standards. 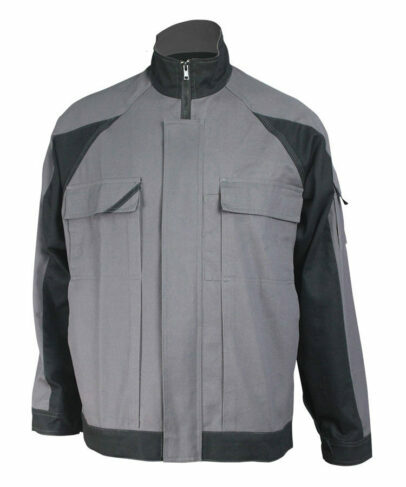 This grey and black fire proof anti static jacket adopting high quality natural cotton fiber fabrics, and the fire proof anti static jacket has self-extinguishing when leaving the fire, without molten drop, char length can be controlled within 10cm, and the jacket can prevent electrostatic accumulation effectively ,and release static quickly, soft touching, good strength, good wear resistant property. 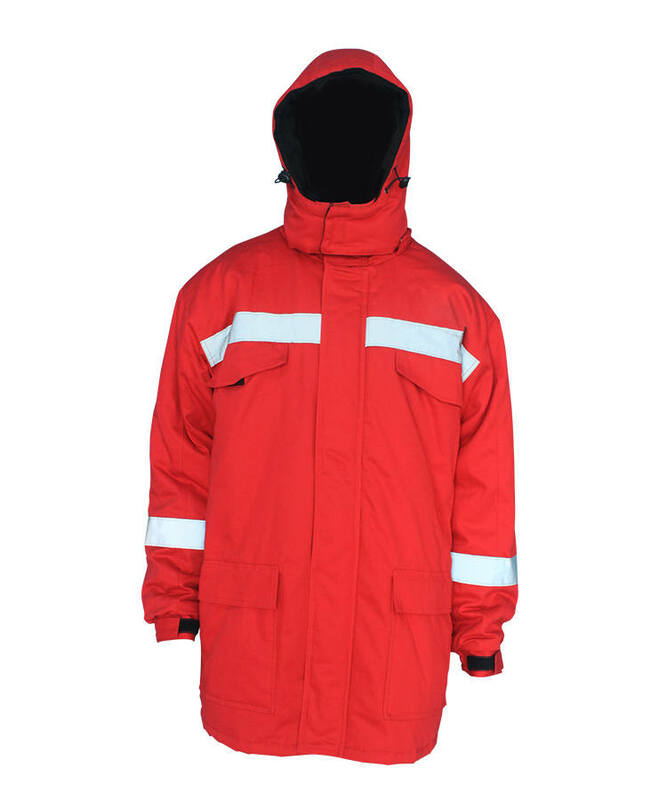 And this fire proof anti static jacket also has good elastic both under dry and wet condition, stable dimension, small shrinkage, not easy to fold, easy to wash, fast drying. 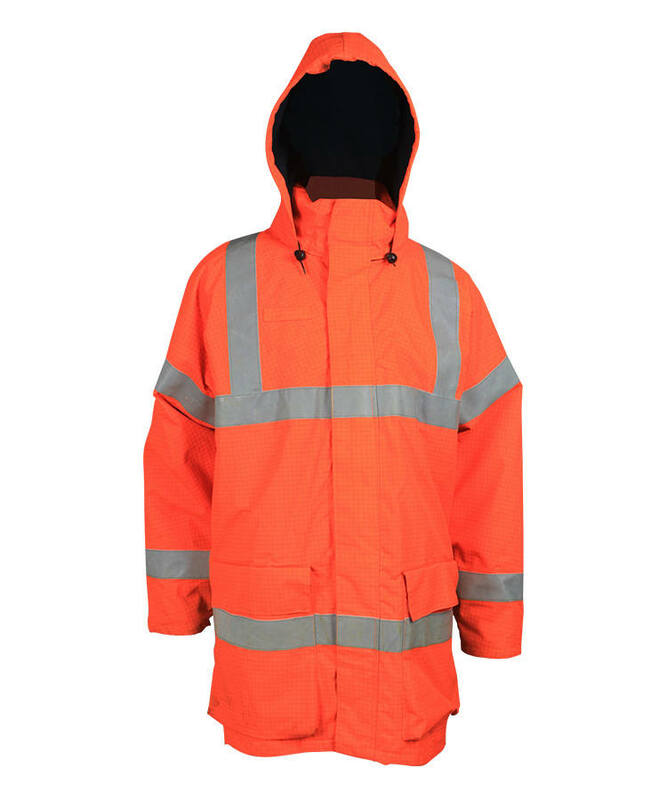 This fire proof anti static jacket has good breathability and suitable used in hot and humid conditions. 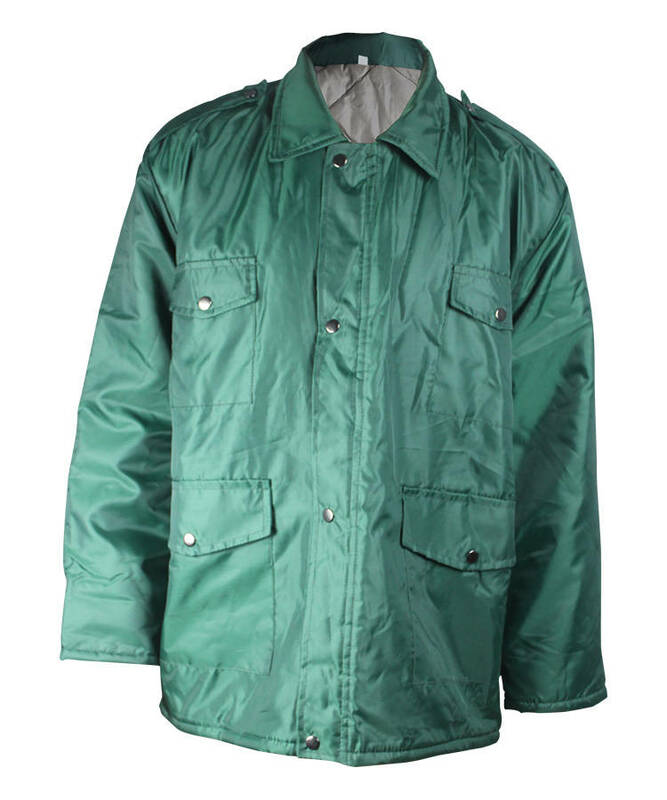 Our fire proof anti static jacket can be produced red, orange, white, grey, black, royal blue, navy blue, green, khaki and other colors according to customer’s color swatch. 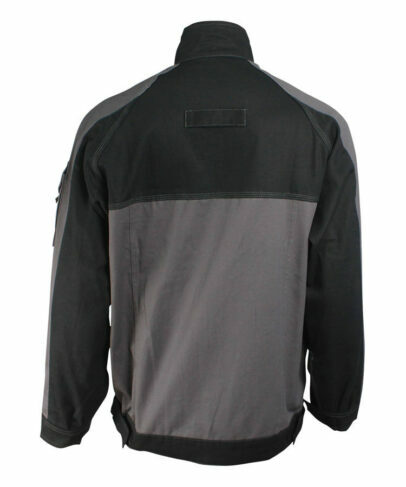 Front fly zipper up direct to neck,front door have 5cm distance with neck bottom, velcro closure. 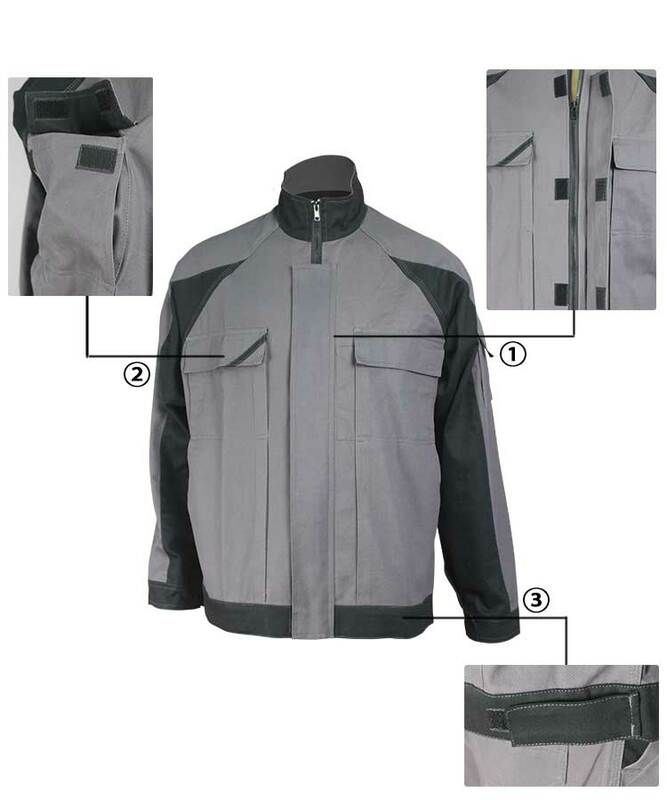 Front chest bag and vertical pocket as one of three-dimensional patch pocket, chest bag flap closed with velcro, add a pen bag on left chest pocket and 1cm wide slanting stick on right check pocket, around a single open small pocket on each side inside the patch pocket. The bottom hem is black color fabric, both sides have loops, add velcro to adjust the tightness. The whole fire proof anti static jacket contrast color connection. The back part has cutting lines, the back upper part is black color, and the below part is grey color. The sleeve is raglan sleeve, two cutting lines divided it into foresleeve, half sleeve and back sleeve, a sleeve pocket with flap on left sleeve, ribbon on the middle of the flap, the pocket opening closure with velcro; sleeve cuffs is black color fabric, sleeve underarm with velvro to adjust the tightness.